Download Wooden Wall Frame Mockup PSD. If you looking for a mockup to present your flyer, Poster design in the unique way possible to catch client attention than this Wall Frame Mockup is perfect for you. This Free Wooden Wall Frame Mockup is best for any photographer, artist or graphic designer who wants to present their work in a clean indoor environment. 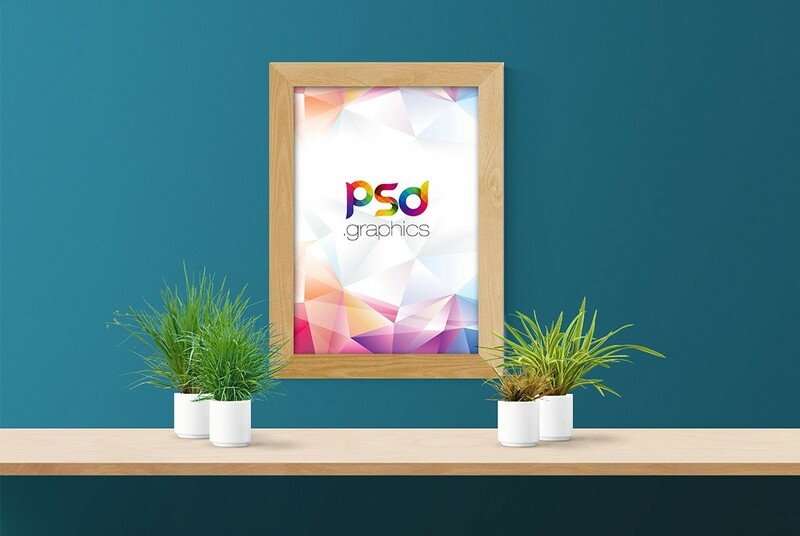 The free Wall Frame Mockup PSD file contains smart-object which allow you to quickly edit or replace your custom design inside the wooden frame mockup. You can also change the background color to your needs to match your poster and flyer design color scheme for better presentation. Hope you like this Free Wooden Wall Frame Mockup PSD. Enjoy!